The 500 kilowatt solar plant, a project of Illinois Municipal Electric Agency (IMEA), covers about 3 acres at 850 Equity Drive in the Legacy Business Center and started running on Sept. 1, an article on the city's website said. “The solar plant project came online on schedule,” St. Charles Electric Services Manager Tom Bruhl said in the article. “We closed the breaker and energy started flowing from the plant to the St. Charles grid smoothly and with no surprises or issues. The solar plant will supplement enough power for about 70 residents per year, the website said. 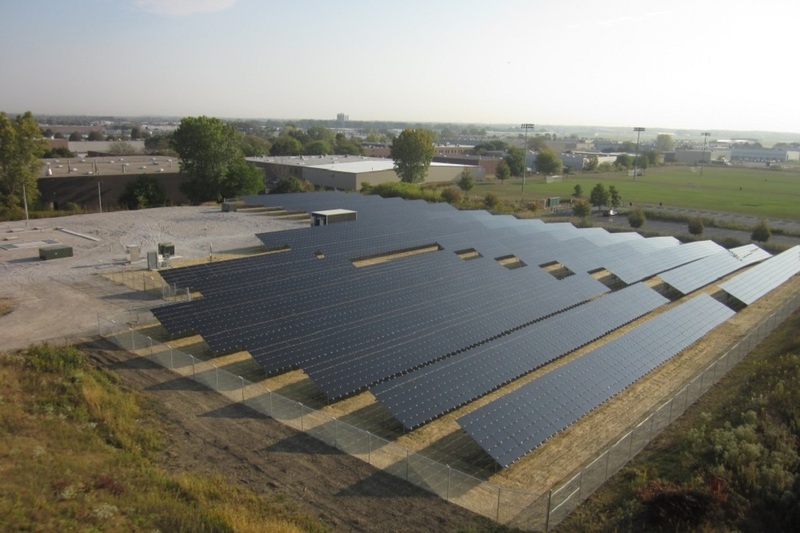 IMEA along with St. Charles Electric Utility will be studying, “how the solar plant contributes to the city’s distribution system,” the article said. “We are happy to partner with St. Charles on this demonstration project to further our collective experience with renewable resources,” Kevin Gaden, CEO of IMEA, said in the article. IMEA is a nonprofit that includes 32 municipal electric systems in Illinois. In addition to the solar plant, a new electrical substation is expected to be competed adjacent to the solar plant in summer 2018. This substation will serve the southeast area of St. Charles.